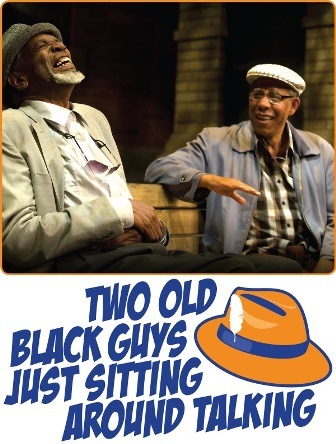 “Two Old Black Guys Just Sitting Around Talking” makes its regional premiere at The Ensemble Theatre. Two Old BlackGuys Just Sitting Around Talking brings together two of Houston’s veteran actors, Wayne DeHart and Alex Morris, who take us into a sometimes raw, sometimes gritty, yet always funny conversation between two aging friends; their brotherly relationship complicated by their age-old rivalry for the love of the same woman. If you’ve ever eavesdropped on your elders’ conversations you know some of them can be pretty candid and laced with a few embellishments, yet chalked full of wisdom. 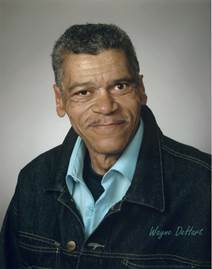 Both Wayne DeHart and Alex Morris, a former Alley Theatre company member, have a career spanning more than 30 years in stage, television, and film. 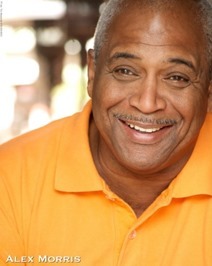 Both men also began performing during the early years of The Ensemble Theatre and during the life of its late founder George W. Hawkins. The career paths of Morris and DeHart have many similarities and even intersect at several points, leaving one to conclude that each will bring a great deal of authenticity to the characters they play. 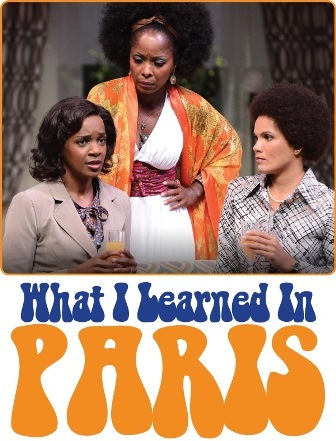 “What I Learned in Paris” Brings A Lesson in Love, Life, and Liberation! 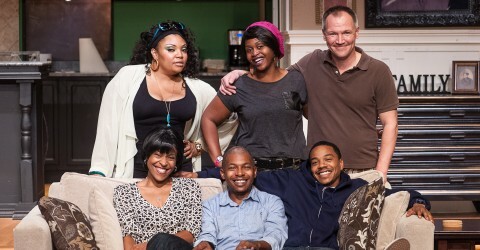 A Houston powerhouse of talent brings Pearl Cleage’s “What I Learned In Paris” to life at The Ensemble Theatre. Have you ever been to Paris? Can you tell us what epiphanic lessons you learned there? The story takes some far out psychedelic twists when a divorcee, back in the ATL fresh from her trip to Paris and full of new age wisdom, has a few liberating lessons for the love torn bunch. Director Eileen J. Morris has put together a powerhouse of talent to bring every dimension of Pearl Cleage’s romantic comedy to life. 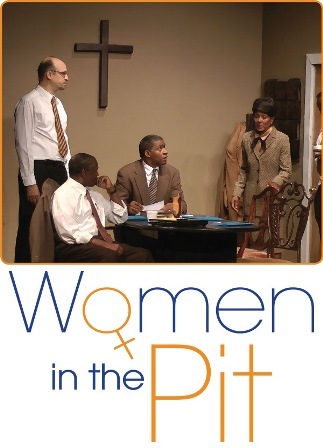 Featured cast members include: Yunina Barbour-Payne, making her debut on The Ensemble Theatre stage; Kendrick “KayB” Bown, just seen in Fly; Cynthia Brown Garcia, who was in The Ensemble’s premiere of the Thomas Meloncon play Christmas with Great Aunt; Detria Ward, who won the 2013 Houston Press Best Actress for her performance in The Ensemble’s production of Pearl Cleage’s The Nacirema Society; and Mirron Willis, who most recently performed as Malcolm X in The Meeting. There is perhaps no issue more hotly debated in the history of the church than that of women serving as leaders and pastors. 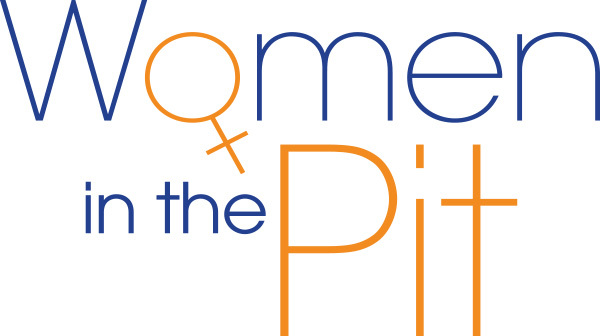 The Ensemble Theatre tackles the debate in its 2014-2015 season opener, Women in the Pit, by Joyce Sylvester and Directed by Eileen J. Morris. At Mount Zion Baptist Church two deacons and two elders are told to find a new pastor and quickly become at odds with one another when it’s clear the most qualified candidate is a woman. Ministers have long taught that scriptures should be studied in context with the time period they were written. Societal norms at the time, such as women not receiving the same education as men, being silent in church and covering their heads, should be taken into consideration. “I think all of those things have merit and that all things in the scripture are for our benefit,” said Rev. Jan Courtney Stephens, associate pastor of Christian Education at New Faith Church. Stephens theorizes that when the Apostle Paul wrote I Timothy, a letter to the pastor at the church in Ephesus, he may have noticed the Greek women were being loud, interruptive and even ostentatious while in worship services. “When we get through all the layers of how one can understand those texts it’s still going to come down to the fact that there are still people who are going to believe what they are going to believe and stand where they stand because of their own biases, faith perspectives, traditions and comfort,” she continued. Church leadership titles are not gender specific, according to Barnett and Stephens. Therefore, they cannot be solely designated to men. When reading the Bible in totality, it is evident that God has used some out of the ordinary people and those deemed of lesser significance to accomplish His will. And although there are those who do not agree with women in church leadership, it should be evident to every Bible believer that women have played an active role in doing God’s work. “Where God calls and equips, He will sustain and provide the space and the opportunity for that which He has placed in a person to do and to benefit the Body of Christ,” she said. Categories Select Category bEhind thE scEnEs having fun with Act OnE young profEssionals In Arts Way Uncategorized what’s nEw!